Marc Marquez ended Free Practice 1 on top of the timesheets as riders took to the track for the first time in the 2015 MotoGP™ season. 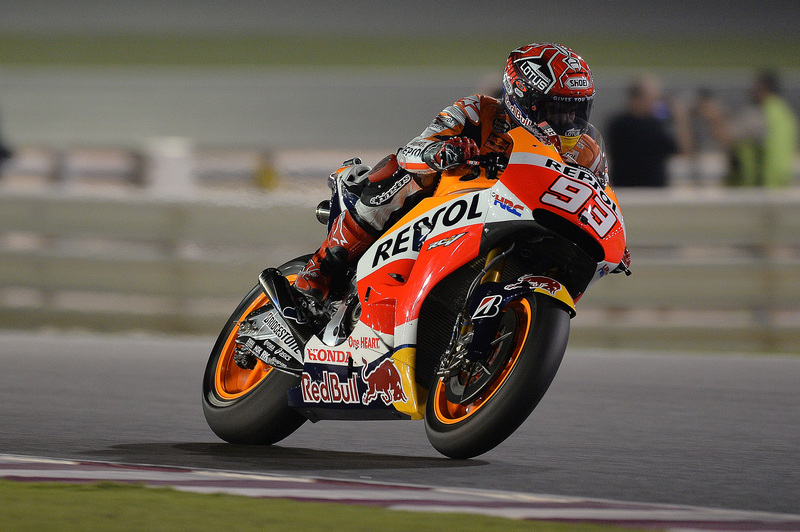 Marquez finished with a 1’55.281, only seven-hundredths faster than his Repsol Honda teammate Dani Pedrosa (+0.076s). 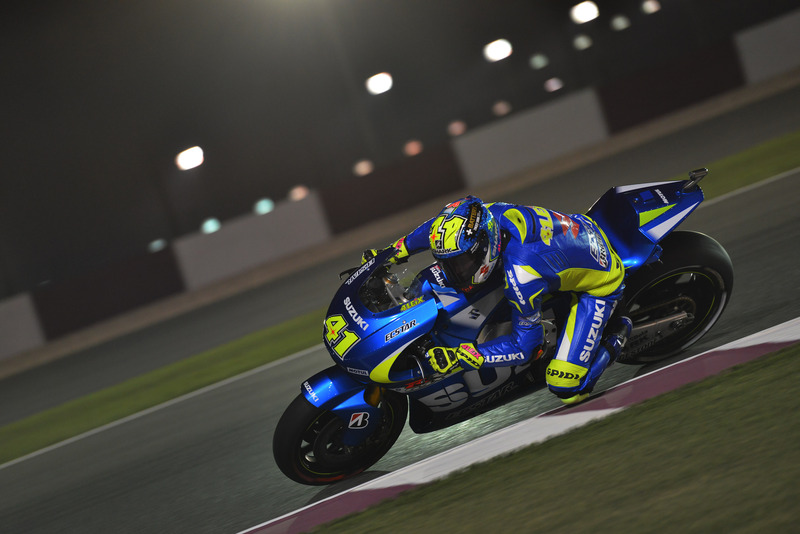 Aleix Espargaro (+0.404s) managed to end the session in third place, as he took advantage of the softer tyre option which is available to Team Suzuki Ecstar, as part of the concessions given to Factory teams without a race win since 2013. Cal Crutchlow (+0.537s) was the top satellite rider in 5th place on the CMW LCR Honda, with Pramac Racing’s Danilo Petrucci just a further one-tenth of a second back in 6th, with the Italian also using the softer tyre option on his Ducati GP14.1. Petrucci, who had to run back to the pits for his second bike after experiencing issues with his first, managed to finish the session ahead of the factory Ducati’s of Dovizioso (+0.699s) in 8th, and Iannone (+1.034s) in 10th on the GP15 bike. 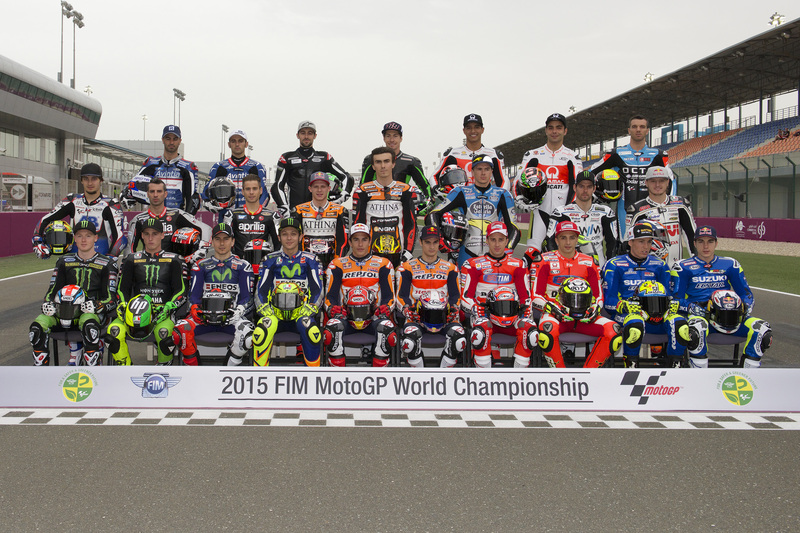 The fastest Open class rider was Stefan Bradl (+1.296s) in 14th on the Athina Forward Racing machine.